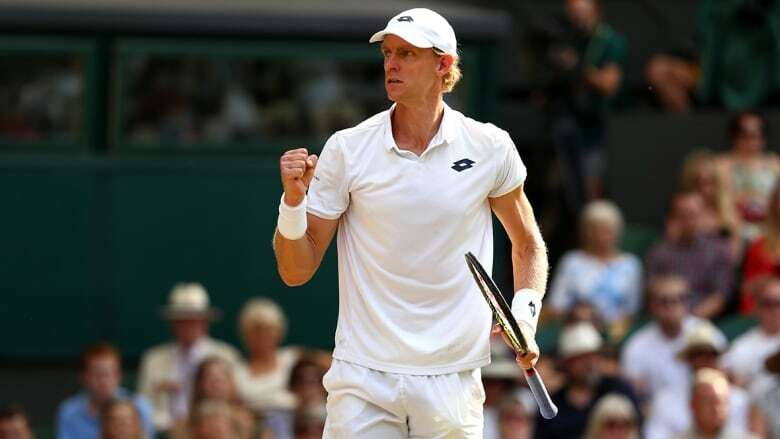 It was a case of better late than never as Kevin Anderson reached his first Wimbledon final with a heart-stopping 7-6(6) 6-7(5) 6-7(9) 6-4 26-24 win over the sport's perennial marathon man John Isner on Friday. The No. 8 seed Anderson eliminated eight-time Wimbledon champion Roger Federer in a 13-11 fifth set in the quarter-finals Wednesday. Between that and the energy-sapper against Isner, it's hard to imagine how Anderson will have much left for Sunday's final, his second at a major. Gabriela Dabrowski's run at Wimbledon is over. The Canadian and partner Yifan Xu of China, seeded sixth, lost 6-3, 4-6, 7-5 to No. 12 seeds Nicole Melichar of the U.S., and Kveta Peschke of the Czech Republic in the Wimbledon semifinals on Friday. Dabrowski and Xu were up a break at 4-2 in the third set, but could not hold on. The roller-coaster match saw Dabrowski and Xu fight off three match points before tying it at 5-5 in the third set. However, Melichar and Peschke won the next two games to seal it. The 26-year-old Dabrowski, of Ottawa, has won two Grand Slam mixed doubles titles (the 2018 Australian Open and 2017 French Open), but never had advanced past the quarter-finals in women's doubles at a major before this week. Melichar and Peschke will face No. 3 seeds Barbora Krejcikova and Katerina Siniakova of the Czech Republic in the final.